NAM Model Catching On To Snow For Area. 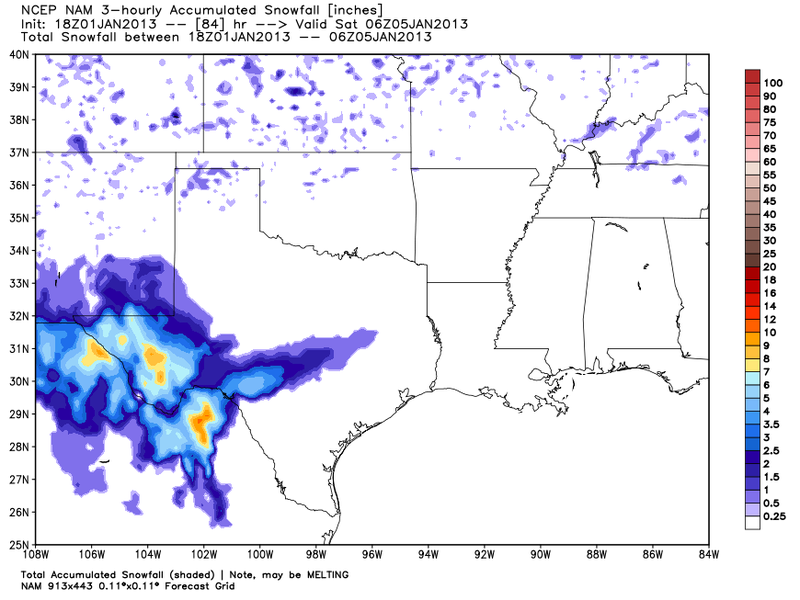 This Mornings 17Z/11 AM MST NAM Snowfall Forecast. Valid At 11 PM MST Saturday January 5, 2013. Special Midland NWS Weather Statement. 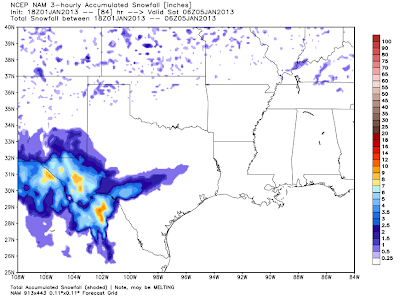 This mornings 18Z run of the NAM computer forecast model is coming around to the European (ECMWF) models forecast of snow for southern, southeastern New Mexico, and west Texas Wednesday into Friday. Wouldn't it be wild if the European models forecasts issued last Wednesday and Thursday end up coming true after all. We desperately need the moisture, and if its going to get cold then I'd rather see snow on the ground. I also would rather have a foot of snow on the ground that a foot of dust in our home. Just saying.